Pioneer’s new high-end UHD Blu-ray player aims to satisfy discerning film enthusiasts and audiophiles alike. 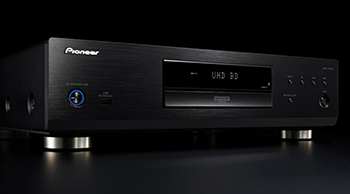 Pioneer have a strong history in the audio-visual space and have delivered a new high-end universal disc player trying to be all things to all people. 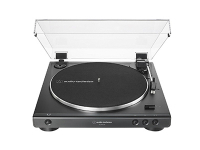 The UDPLX500 will spin all your usual DVDs, Blu-rays and CDs as well as UHD Blu-ray discs, SACDs and DVD Audio discs. Straight away, we can see this is more than just your average Blu-ray player. The reason for this impressive disc support is a desire to make this the heart of both your AV system and a home hi-fi setup. In line with this there is also support for HiRes Audio playback via a USB socket on the front of the unit. By providing such a wide array of options Pioneer has done an excellent job of catering for everyone and this reviewer was impressed at the different options available for this price point. Where it really shows off though is in the internals department. You can tell real care has been taken to make this one of the best sounding disc players on the market. From the three-block layout–keeping power, digital circuitry and analogue output separate–to the 6-layer circuit board, built with digital noise reduction in mind and a reinforced chassis designed to improve rigidity, Pioneer hasn’t left a stone unturned in its desire to squeeze every last drop of audio performance from this unit. In the end, it all comes down to performance. 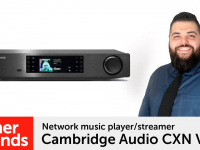 Can it live up to the impressive spec sheet and deliver a fantastic home cinema experience while also providing cutting edge audio playback to our hi-fi? We sat down with the UDPLX500 in our demo room to find out. Unboxing the Pioneer is a nice experience with plenty of care taken to ensure the unit gets to you in one piece. One thing we particularly liked was the self-illuminating remote, an easy addition but one that is occasionally missed. The unit itself feels bulky and premium. Thanks to the focus on a rigid chassis the UDPLX500 isn’t going anywhere fast once we move it into position. We plug the player into our existing AV setup of a Yamaha RX3080 Atmos AV receiver and Monitor Audio Silver range surround sound speakers while sending video through to our Samsung 65Q900R 8K TV. We first try out Guardians of the Galaxy Vol. 2 to see some HDR content in action. The Pioneer does a fantastic job here, producing a clean image with no noticeable artefacts and handling colour accuracy well. Next, we wanted to test out the audio side of things so connected up our Roksan Blak amplifier and sat down to listen through the DALI RUBICON 2 speakers. First, we stuck on an CD of the Bastille album Bad Blood. Reproduction was crisp and clean with a nice dynamism to the sound. We noticed almost no digital noise being passed through to the amp which seems to suggest those long hours designing the circuit board have done the job. Altogether we found the audio performance of the UDPLX500 to be exemplary, really picking out the nuance in our favourite tracks and shining a light on some of the normally glossed over parts. It’s easy to recommend such a capable player thanks to its impressive performance. 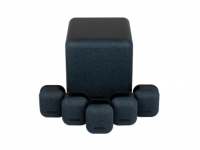 If you love sitting down to enjoy a film then this is a fantastic option for you. If you’re looking to take advantage of a large CD collection and still want to enjoy the latest blockbusters then all the better. This Pioneer really is a dab hand at both. To experience the UDPLX500 for yourself, contact your local Richer Sounds store today to arrange a demonstration, or click here to find out more.